Troxy has come a long way since it opened in 1933. From its origins as the largest cinema in England, through Blitz bombings and bingo, pantomimes and performance, disuse and now spectacular rebirth, Troxy truly deserves its reputation as the most flexible venue in London. Our work for Troxy, like the venue itself, is multi-faceted. From a B2B perspective, we’ve designed a comprehensive Troxy visual identity and generated profile-raising industry news and features — we were part of the team that bought Robbie Williams’s BRITs Icon performance at the Troxy to headline-grabbing life. B2C — we work hard on social to publicise Troxy’s brilliantly eclectic programme — concerts and screenings, talks, parties, comedy and dance nights. 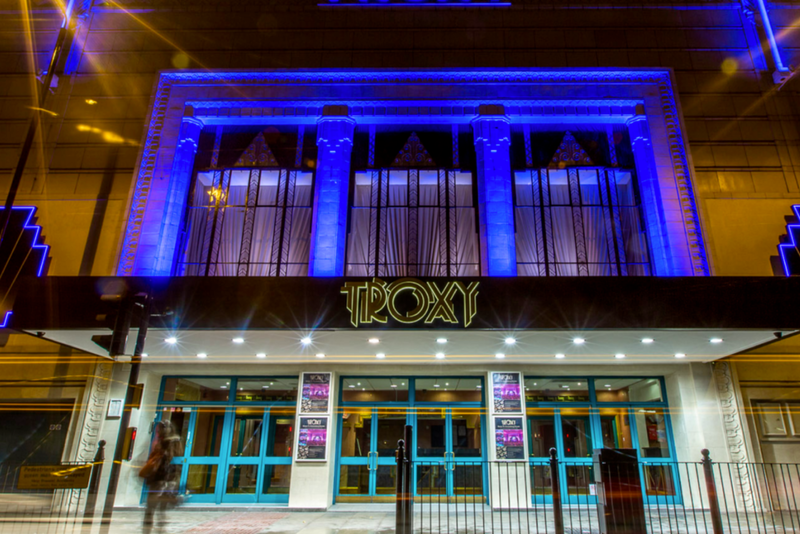 With over 80 years of astonishing events to be proud of, we’re excited to be part of Troxy’s future. It was a major coup that Robbie Williams chose Troxy for his BRITS Icon Concert and it was vital we made the most of the huge marketing opportunity it presented. Plaster pulled out all the stops; I doubt any other PR agency could have got us the coverage they did.